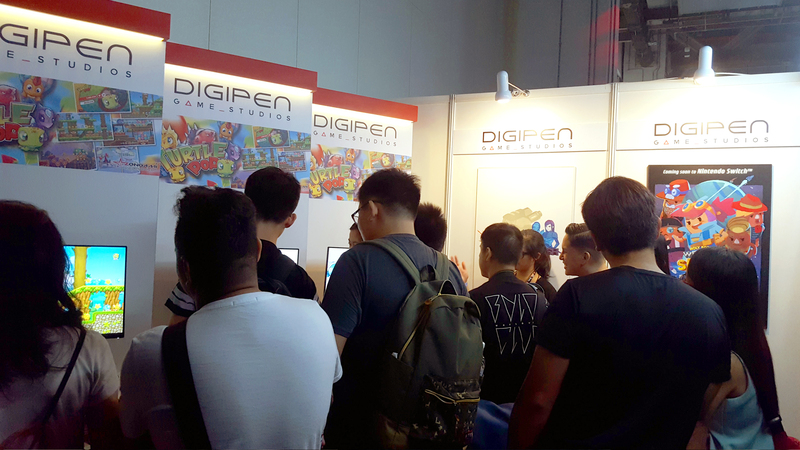 More than 300 people had a chance to get their hands on one of the first new titles to be published by DigiPen Game Studios (DGS) earlier this month. The game was Zengami’s upcoming TurtlePop for the Nintendo Switch™, and the venue was the Singapore Toy, Games, and Comic Convention (STGCC). This marks DGS’s first major showcase since its inception and partnership with Nintendo in 2015. Zengami, the developers behind TurtlePop, were among the eight indie studios from Singapore who announced their intention to develop on Nintendo Switch earlier in May. TurtlePop is a puzzle-platform action game where players guide turtles through obstacles, puzzles, and hazards to safety. The Switch-exclusive game has been under development since the start of 2017, taking after an earlier prototype that the three studio founders had previously created for mobile platforms. Attendees who stopped by the booth enjoyed a few early levels of TurtlePop’s campaign mode, as well as competed against each other in the “Lick ‘em Up” multiplayer mode. Many praised the graphics and mechanics. One player also noted that the game would be great for helping kids to develop perseverance and strategic thinking. 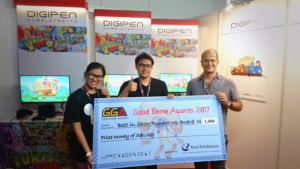 The game also won the Good Game Awards’ “Best in Show – Runner Up” award. The winners were selected by a panel of judges comprising notable gaming journalists and professionals from the gaming industry. Check out some of the highlights of the weekend in this video. 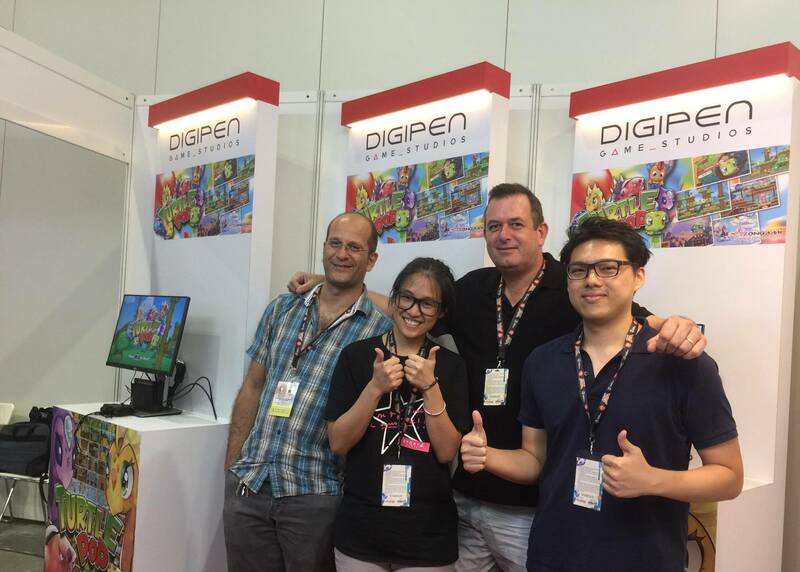 STGCC ended with a bang for us at DigiPen Game Studios. Check out some of the highlights of the weekend, and catch TurtlePop again at GameStart 2017!